Helping you keep a clean, heathy, and comfortable home environment no matter what obsticals mother nature brings your way. CAP’s Heating & Cooling is a proud dealer and installer of ALL American Standard, Amana, and Goodman products. 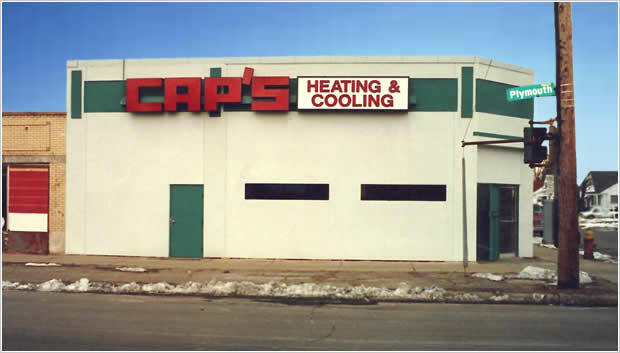 Whether it is your air conditioner, furnace, heat pump, or thermostat, CAP’s Heating & Cooling can service all your HVAC (Heating, Ventilation and Air Conditioning) needs. To the left is a picture of our original facility taken in 1980, located in Detroit Michigan.